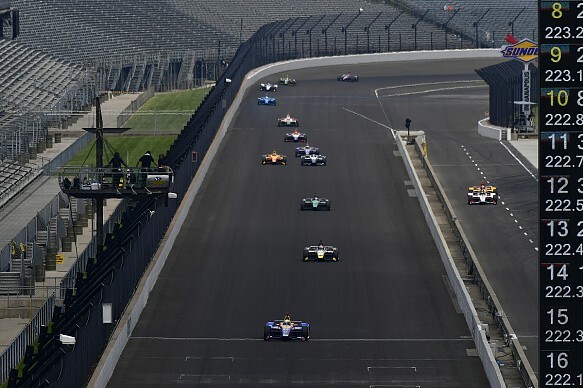 This weekend's Indianapolis 500 looks set to be the most unpredictable race in recent memory and Autosport has picked the drivers most likely to win the 102nd event. The 'Fast Nine', which sets the front three rows of the grid, was dominated by Ed Carpenter Racing and Penske, with only two Honda-powered cars joining the shootout. It was a further demonstration that Chevrolet appears to have the edge on Honda heading into the race. But once the grid was set, the following day's practice - run in race trim - featured trains of cars running close together as the IndyCar field continues to grapple with the behaviour of the 2018 car. Overtaking is expected to be more difficult and the value of leading the pack has been heavily scrutinised. All of these factors make predicting the race a challenging prospect, but Autosport has selected nine drivers who could win this year's Indy 500.